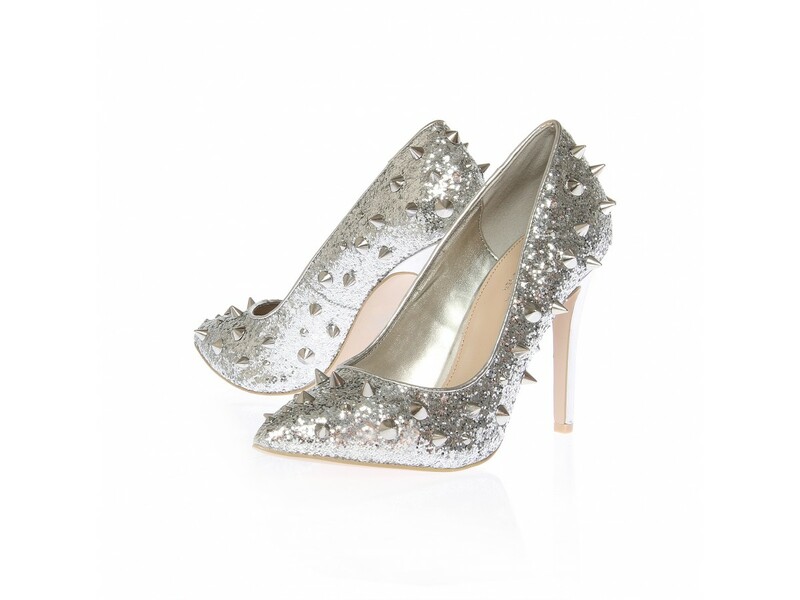 These shoes started off life with a price tag of £105 over on the Kurt Geiger website. You can currently purchase them on the self same website for the nominal sum of £19. 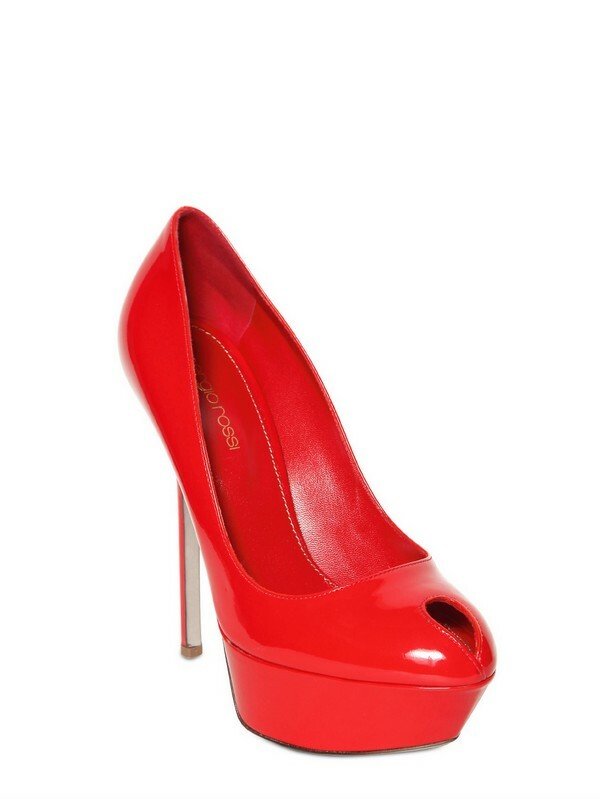 That ladies, is what the Friday Night Bargain Alert is all about - not cheap shoes, but truly great shoes at giveaway prices! These are great for work or any event that involves you being on your feet for much of the day but you still want to look great. Fantastic price - see you all next week and happy bargain hunting! I adore this week's The Friday Luxe - not only for being sparkly metallic (and therefore kind of Christmas themed) but also for being practically perfect in every way, without even a hint of Mary Poppins. 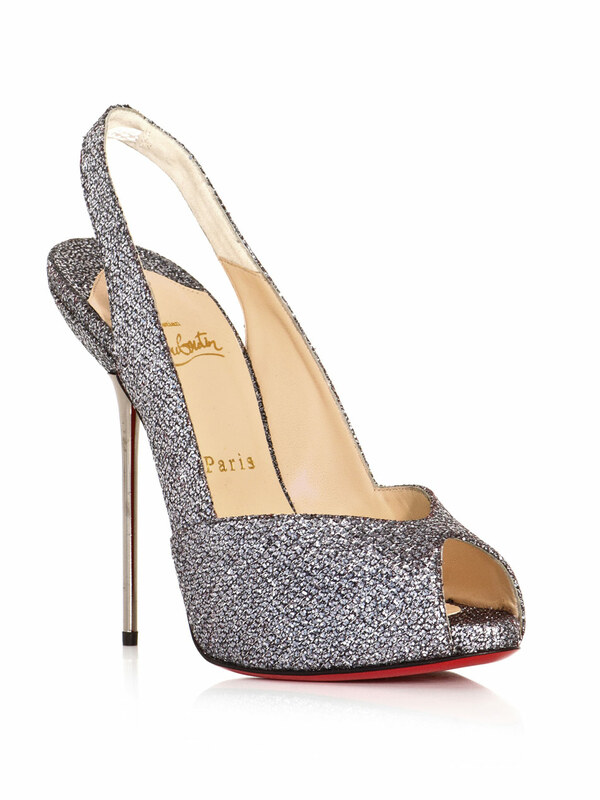 Of course when we are talking these kind of Louboutin heels they are an indulgence, but really look at them! Arn't they just beautiful? 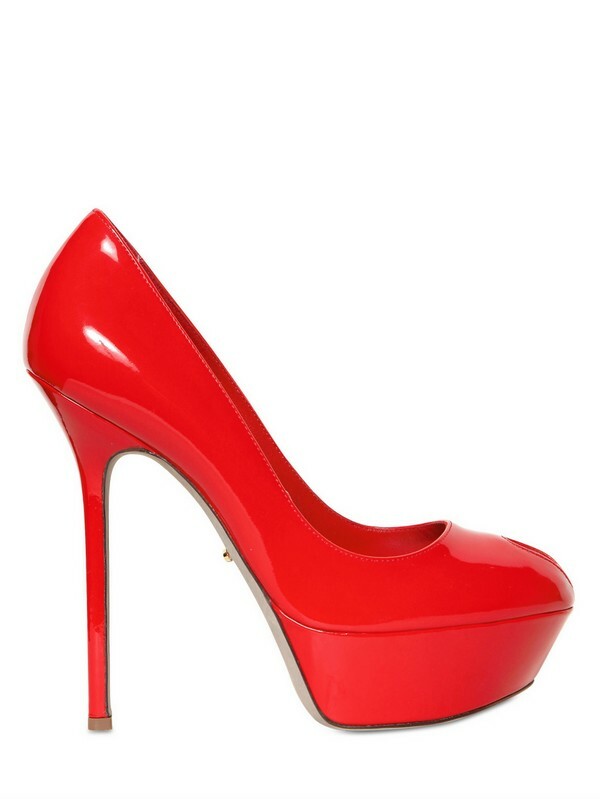 The signature red sole, as always, send shivers down my spine. 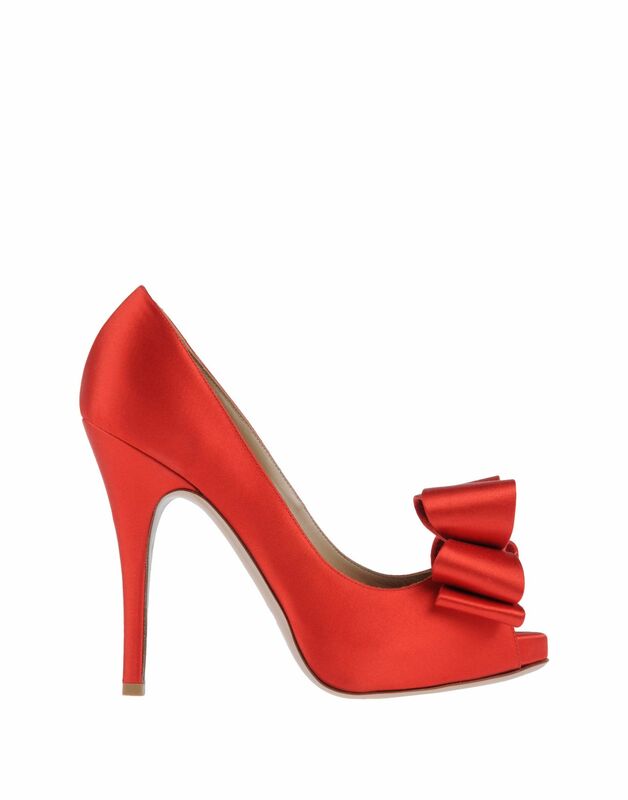 The little decadent splash of red always makes Loubies that little bit 'more' than the rest. Plus against the metallic upper and the metal pin heel they look even better. Seriously who could resist them? 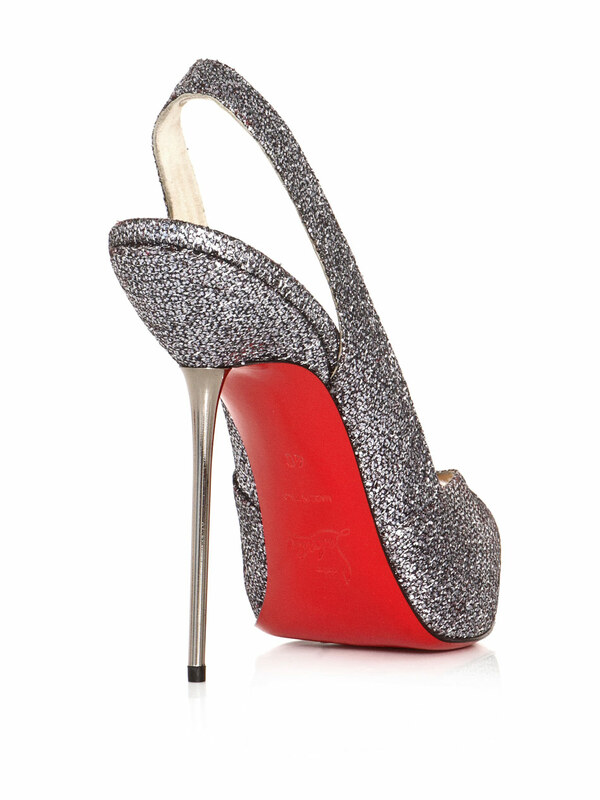 Louboutin at his finest - perfection! 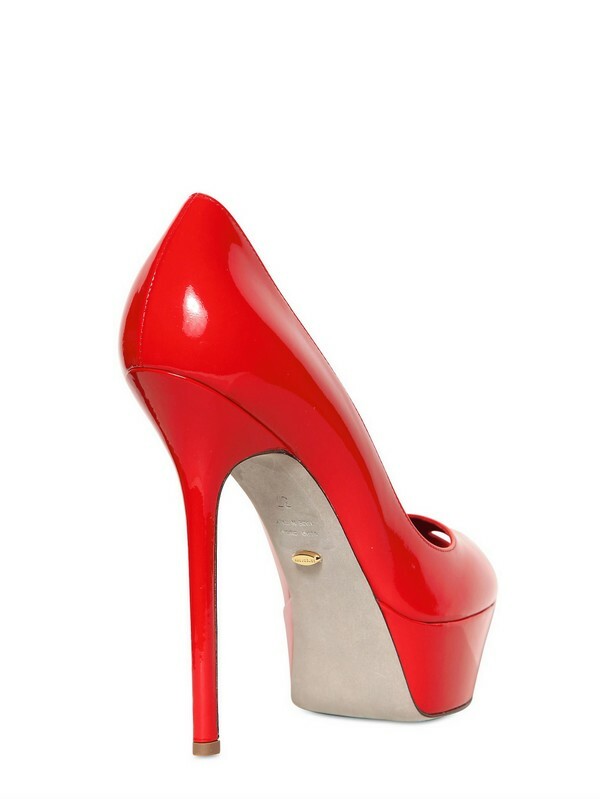 I may have already said everything there is to say about the gorgeous Sharon style by il maestro Giuseppe Zanotti. 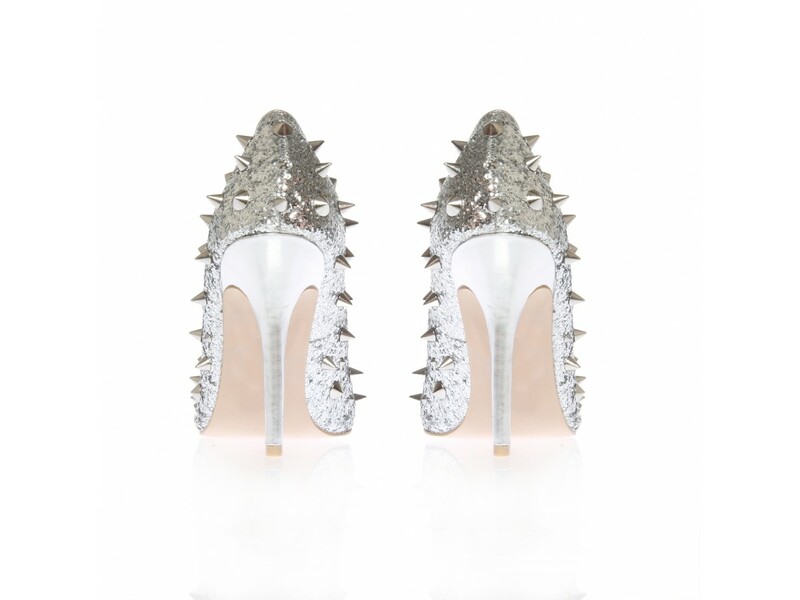 They are, in so many ways, my dream shoes. They don't have a bad side, a bad feature, and in this gorgeous acidic lime green they are refreshingly different yet again. OK so on a cold winter's day it's not my most practical shoe recommendation to bring you a minimal Blahnik green patent ankle strap sandal. No, it's totally true and I will hold my hands up to that! However, these little green wonders of the modern world are so pretty and cheerful that perhaps we can remove our minds this lunchtime from the snow shovels and the furry mittens to remind ourselves that temperatures will improve! Summer will bloom after spring and just think how wonderful these strappy sandals will look with a simple shift on holiday. 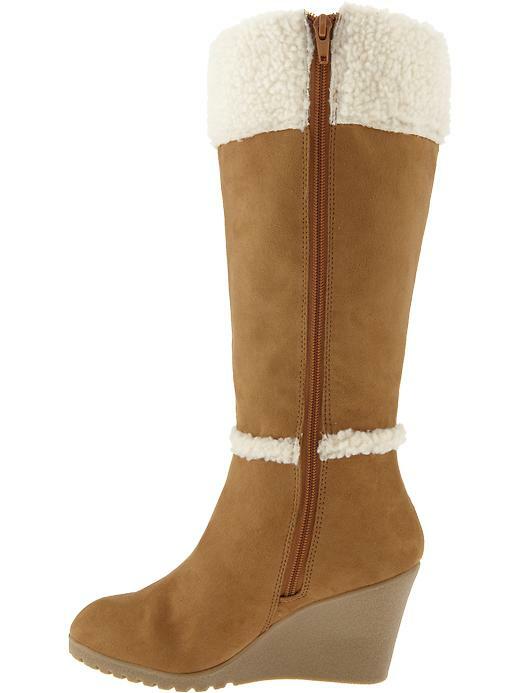 If you have a winter break coming up then these would also be perfect for it. Equally suitable for a multi coloured print sundress or a LBD for the evening bar, these versatile little shoes could take some of the hassle out of packing all your shoes for the holidays. 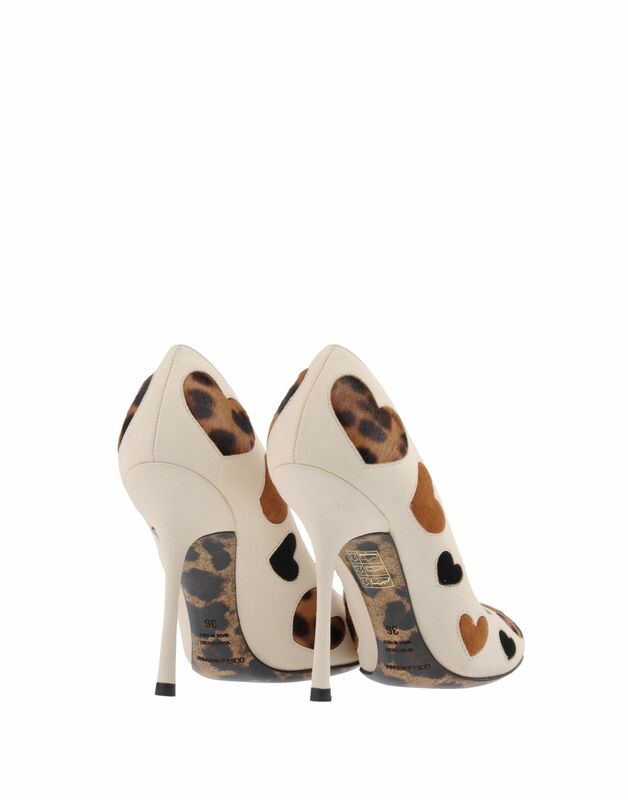 Of course I am not suggesting just a single pair of heels for a holiday (or anywhere NEAR that in fact!) but you could definitely wear them a few times over the course of a break and dress them up in different ways. Simple, understated and elegantly classic. Make them yours if you can, you lucky thing. Well these beauties would bring a little life to anyone's cold Wednesday morning! These beautiful (faux) leather sandals with their rich gold metallic accents and high shine holographic upper are just the ticket to bring a smile to my face. 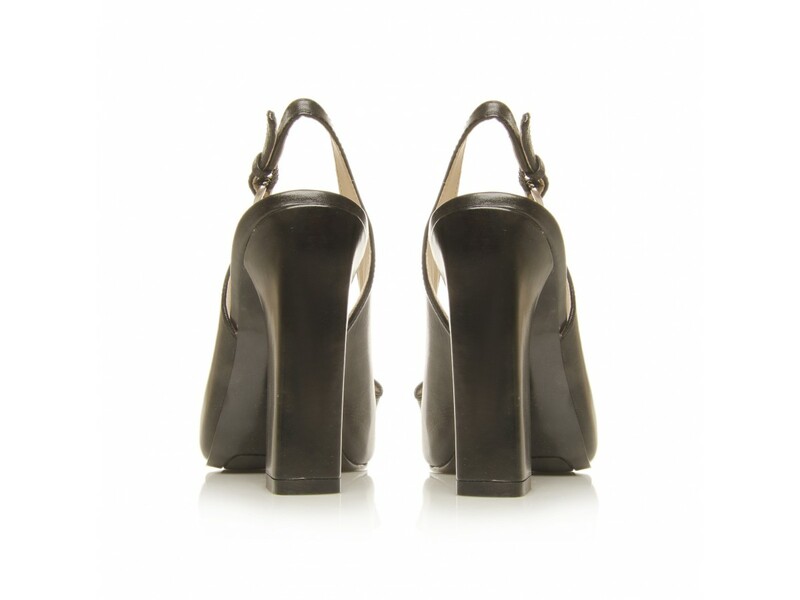 The style is darling, and the only slight misgiving i have with Stella McCartney's shoes is her use of non-leather. I am fully presuming that this is due to the ethical beliefs she was raised with by her late mother Linda who did so much work for vegetarianism and animal welfare and rights. But from a consumer point of view I do find it difficult to hand over hundreds of pounds for a pair of shoes that are not leather. What do you think? Do you think this is important? Do you believe that the price point of Stella McCartney shoes shoes should be less than other designer shoes that use real leather? 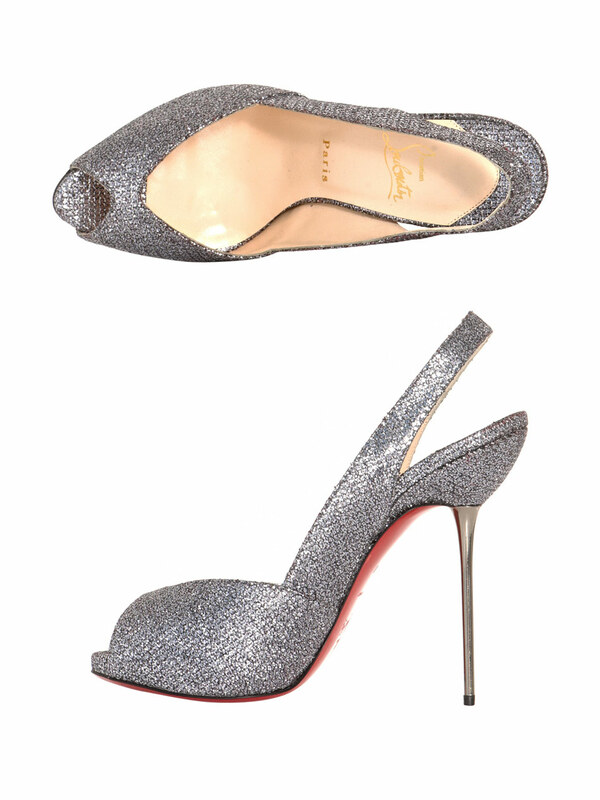 Either way these are gorgeous and available via my Lyst if you want to sparkle and shine this Christmas! Now the choice of these will come as no great surprise to many of you who read Shoeniverse regularly. 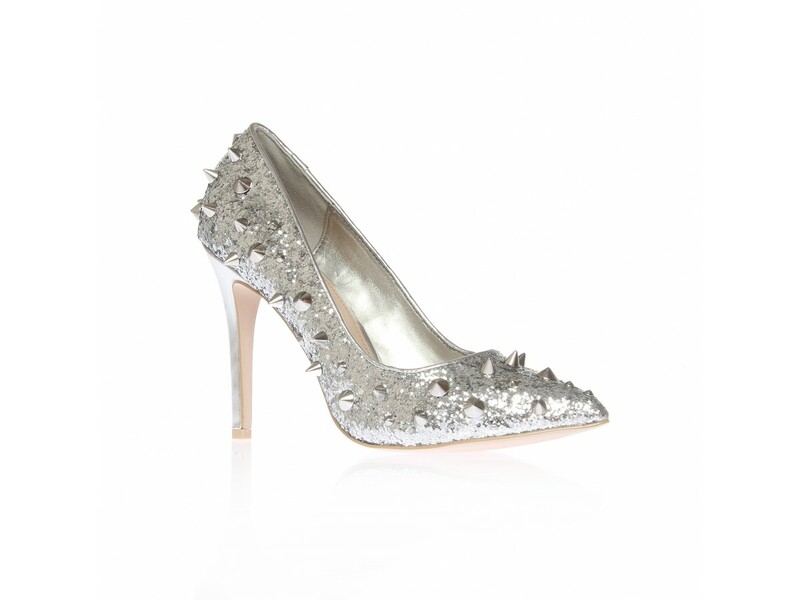 Ooh look there's a pump - in silver (gasp!). But seeing as the last post was featuring a very expensive and for many of us unattainable heel, I thought i would finish off the day with something a little more affordable. I met these shoes in John Lewis a few weeks ago when I was scouting for shoes who look better in person and who I might not otherwise feature, and Galaxy is one of those shoes. The pictures make the glitter feel a little washed out but if you like the style then I would urge you to go find these in person and see what I mean. 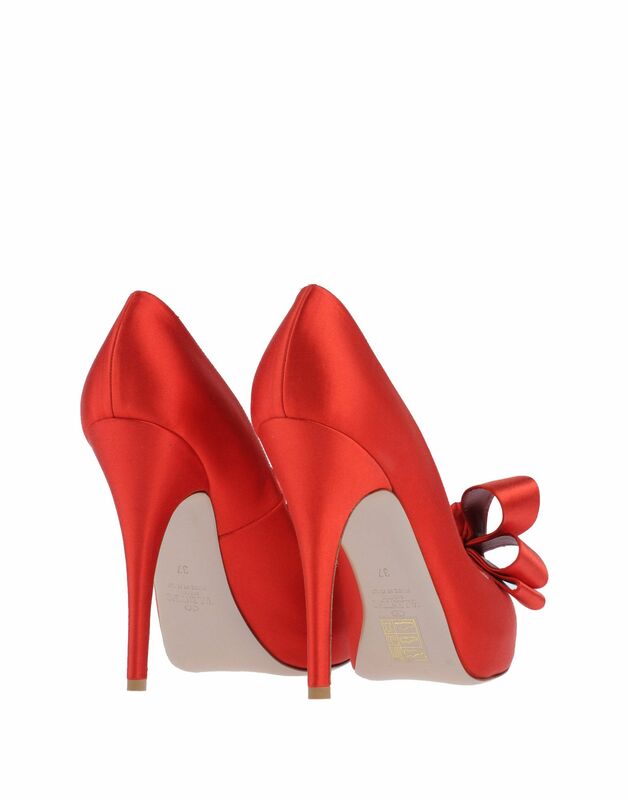 They are a stunning Cinderella-like pump that is really (like, really) beautiful in real life. The pictures do not in any way show how amazing they are. Upon meeting them I forgot the other shoes I had planned to go and see and immediately cradled it in my hands and held them up the lone beauty whilst saying 'This one'. Best of all they are now on sale too - and can be yours for £85 but be fast ( I promise you won't be disappointed). This post isn't any kind of attempt to stir up controversy or to pin myself as 'anti-Pigalle'. This is however a very self indulgent post on my part. Whilst I love and adore the much famed Pigalle pumps, I do prefer a shoe with a little more height and a toe line that I am slightly less likely to stub and/or trip over. So for me, I prefer the Alti style. So these shoes are very much ones that I would get a lot of wear from. It does of course help that they are also super pretty, and I am imagining that I am far from the only girl in the Shoeniverse who covets these heels. I know that not every heel has to have a platform. I have embraced all kinds of toe shapes after being a confirmed round-toe diva for many a year. 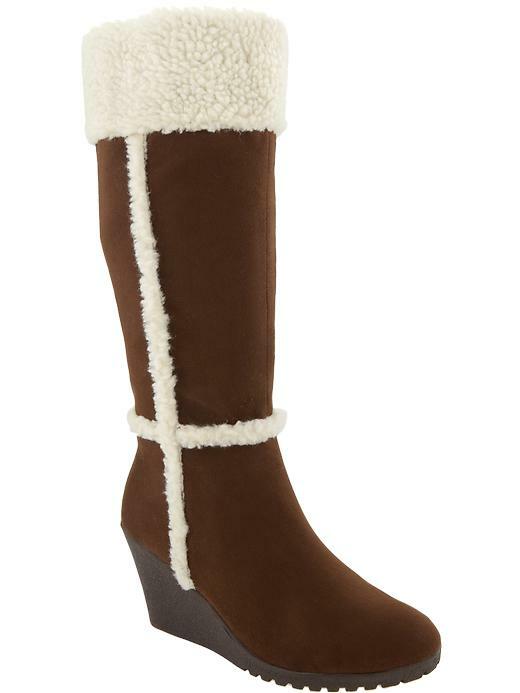 But for me these are just better in accompaniment my personal style and I would feel better in them. You can grab them via my Lyst picks fulfilled by Net-A-Porter for just shy of £900 putting them out of my price bracket sadly, but we can all enjoy them nonetheless for the little works of art that they are. Beautiful. Regular readers of Shoeniverse will of course know of my struggles to accept leopard print in shoes, and actually this does also extend to clothing too for the most part. It can look wrong, cheap tacky, etc all of which I have covered in previous posts. But I also realise that leopard print can be extremely popular and so I try to embrace it where I can and where it's been done with elegance. Dolce e Gabbana here show us a better use of leopard print than possibly any I have ever seen before. These shoes are nothing short of genius. See they really are cute. 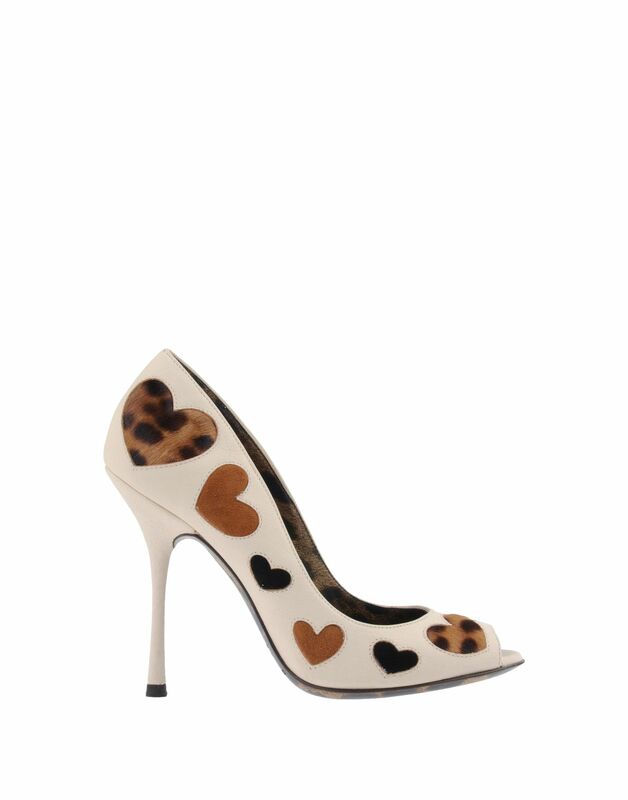 They might even work for bridal shoes if the bride to be is animal print mad! Just a hint with various other textures and pony skin - and I do genuinely really like them. 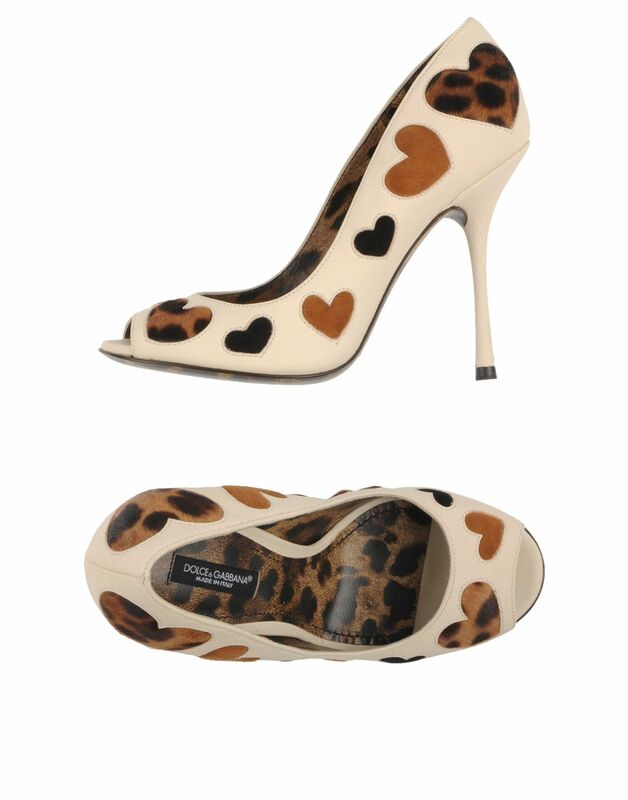 Want to add a (thankfully very small) touch of leopard into your shoe closet today? Would you wear them? More importantly how would you style them? I would love to see! If you are a follower of Shoeniverse on Facebook then you may have seen these posted as one of my social 'brighten up your Saturday morning' posts which featured several brightly coloured shoes to combat what was a very grey and foggy morning. Ironically enough the day turned out rather bright and sunny after the initial fog had been burned off, so these were actually an inspired choice. 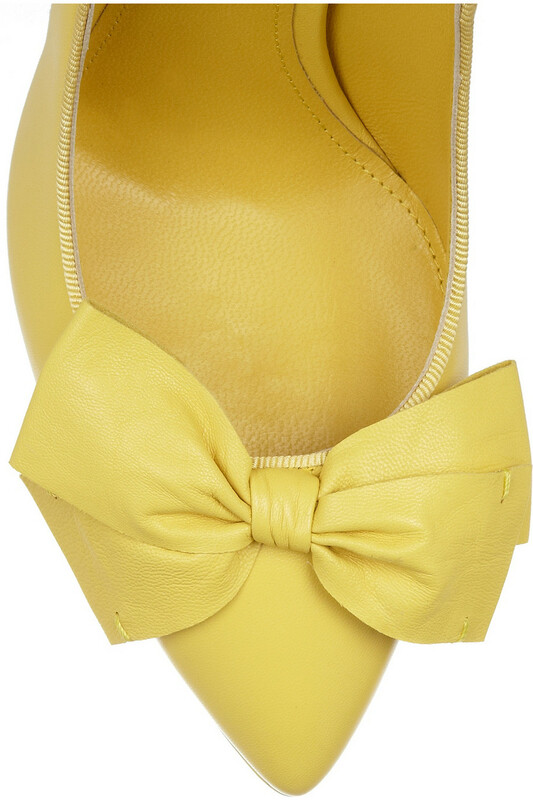 They are, of course, all about the bow. This is such a sweet embellishment in any colour but for some reason in this rich buttery lemon yellow they look even better. 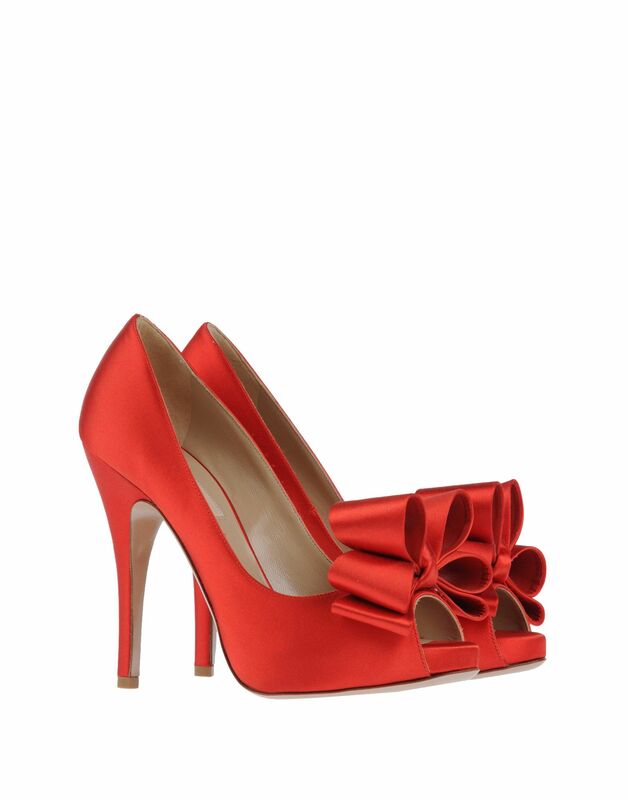 These shoes are incredibly sweet and elegant. 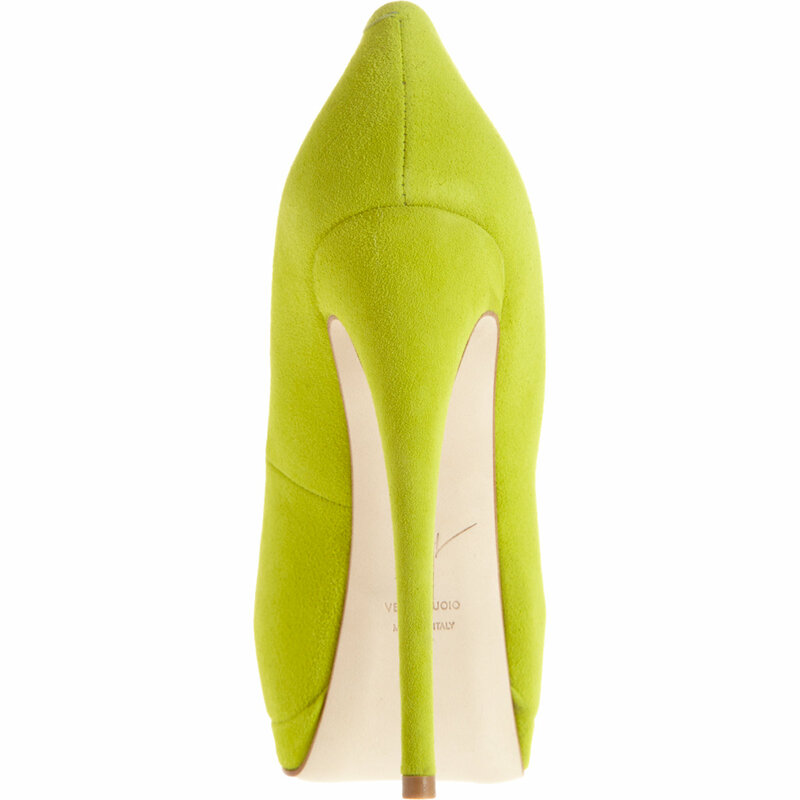 The rear view doesn't disappoint either, with a deep inward curve of the heel reminiscent of a Badgeley Mischka heel. 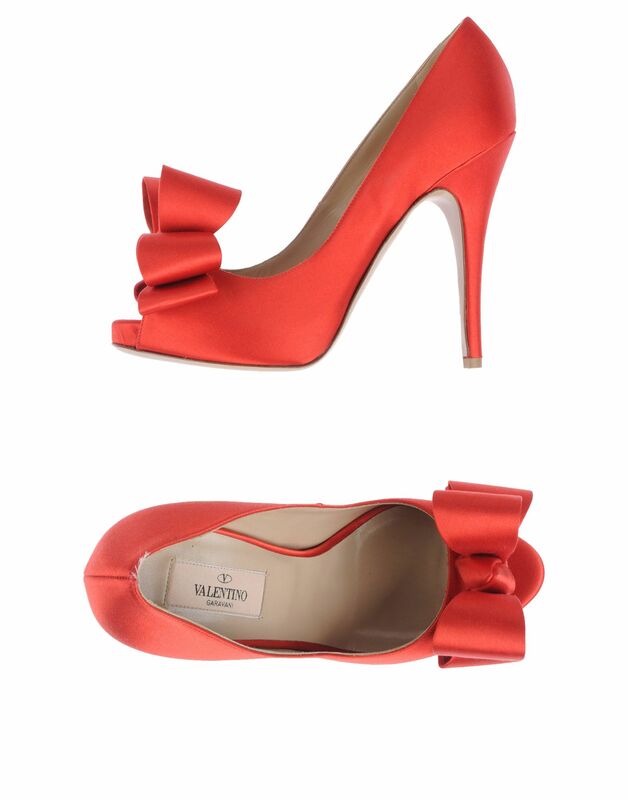 These would make perfect bridesmaid shoes for a spring or summer wedding. One of my favourite things about them is the lemon leather sole too - just divine!